Cable and telecom investor Zegona Communications has informed Spanish regulator the CNMC that it is withdrawing its offer to acquire an additional 14.9% stake in regional cable operator Euskaltel, which, on top of its existing 15% stake, would have see it become the Basque Country-based player’s largest shareholder. Zegona said that deteriorating conditions in the equity market were responsible for the decision. 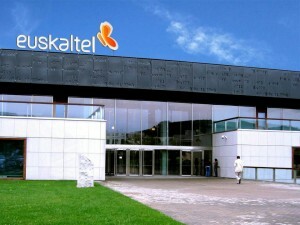 Zegona said it would still attempt to increase its participation in Euskaltel by making share purchases on the market. The company has struck a deal with existing Euskaltel shareholder Talomon Capital giving it an entitlement to up to 2.4% of the Spanish operator. Zegona can acquire up to an additional 12.5% on top of its existing 15% without triggering a mandatory offer requirement. The cable and telecom investor said it would now raise new equity to finance additional acquisitions of Euskaltel shares. The group has also been offered loan financing facilities of up to £30 million, including £10 million (€11 million) from Virgin Group, that could be used to increase its holding in Euskaltel. The latest development is a setback for Zegona’s plans for Euskaltel, which including changing its management, developing a strategy of becoming a nationwide operator and bringing the Virgin brand to Spain to support this. In December, Euskaltel announced a ramping up of its efforts to establish a national presence with a deal with Catalan motoring club the Reial Automòbil Club de Catalunya (RACC) to market its telecom and TV offerings in Catalonia under a new RACCtel+ brand. The company has also drawn up plans to expand its presence to the Leon, Cantabria and La Rioja regions after launching services in Navarre over the Orange network in that region.